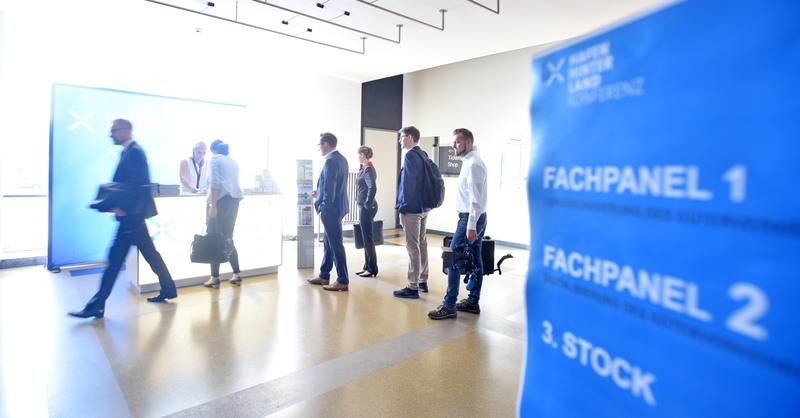 The Hafenhinterland Conference takes place from 6. – 7. September. 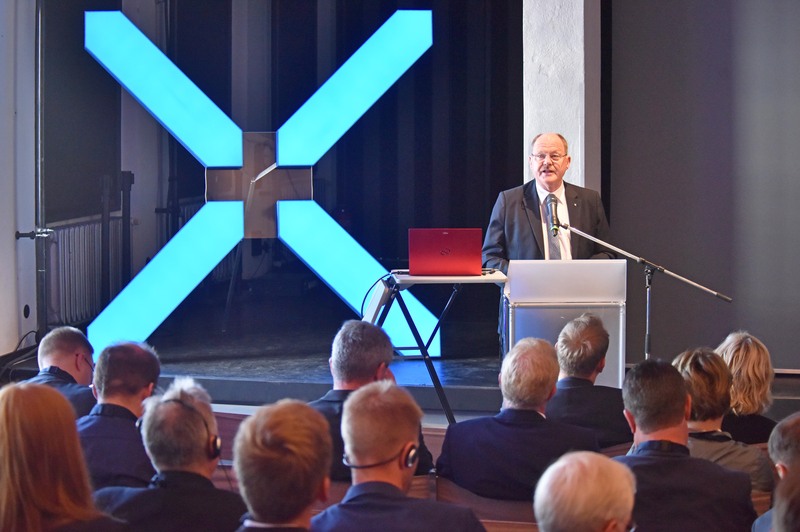 This year's focus is the „Multimodal Logistics HUB Saxony-Anhalt“. 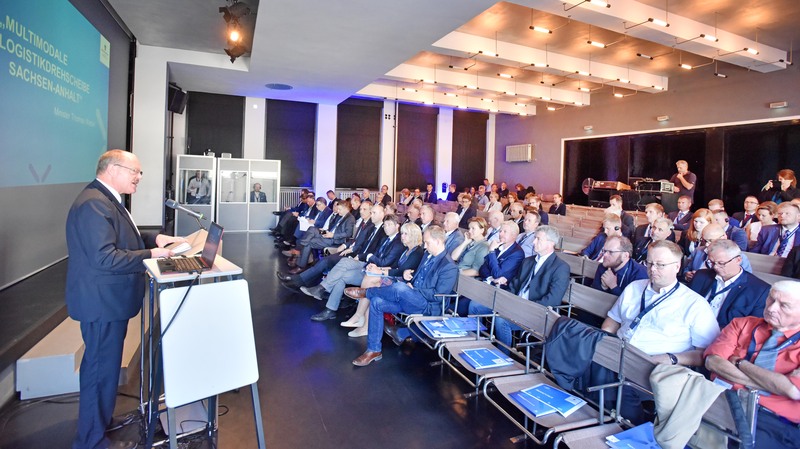 Experts from the industry will discuss future solutions for the port hinterland traffic in Central Germany at the forum. 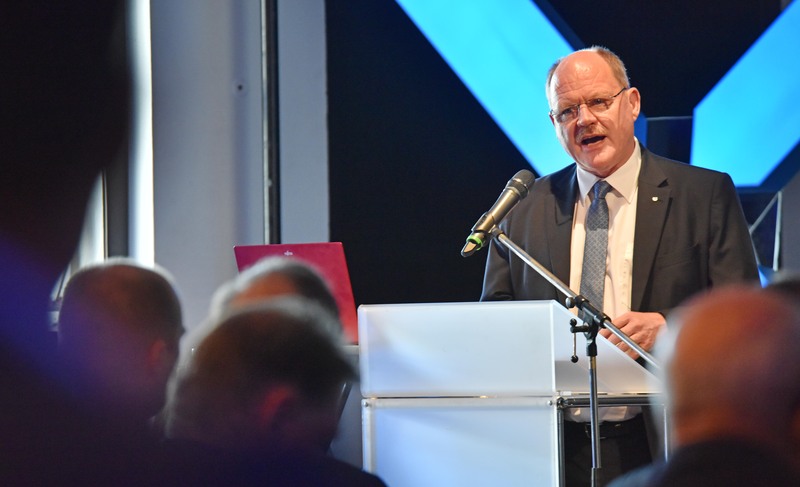 We bundle the news, background information and photos the Hafenland Conference 2018 here. 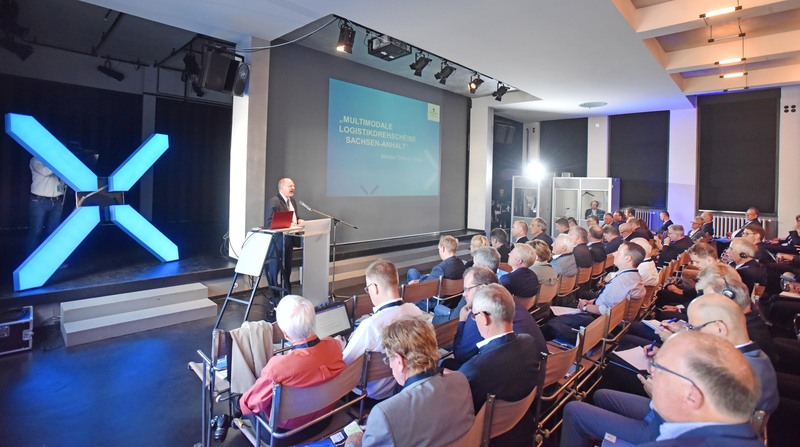 As central Germany’s logistics hub and “gateway to the east”, the state of Saxony-Anhalt faces the task of shaping the multimodal transport taking place in the port hinterland for the long term. Currently, the focus is on connecting the modes of transport and their effective use according to their strengths and potential. In Saxony-Anhalt, numerous efficient transport routes were created so as to accommodate the changed mobility needs of passenger traffic as well as the transport requirements of a modernised economy. The foreseeable gap closure of the A14 from Magdeburg as far as Schwerin and of the rail goods corridor east will make another considerable improvement to the state’s access to the coastal ports. The ports and terminals of the so-called combined transport as logistical interfaces of the various modes of transport are just as significant. 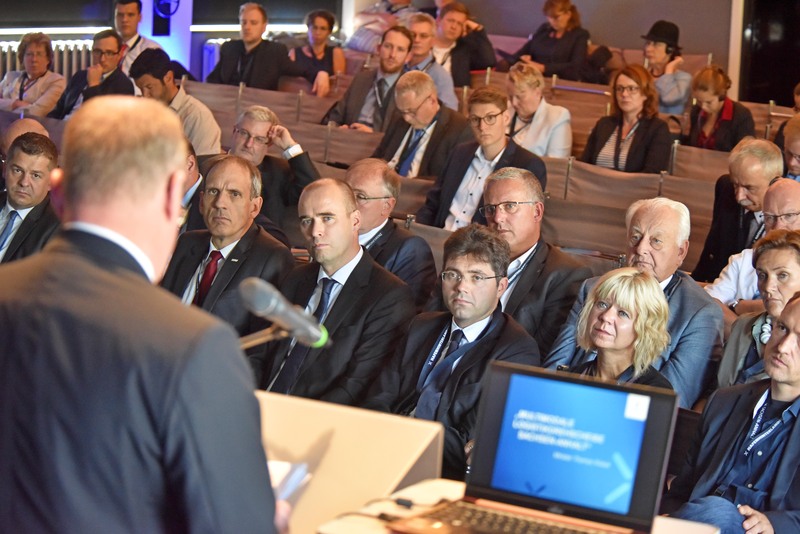 Thus, an outstanding hinterland for the German seaports has come into being in the drainage basin of the Elbe corridor that must now be prepared for the future challenges. 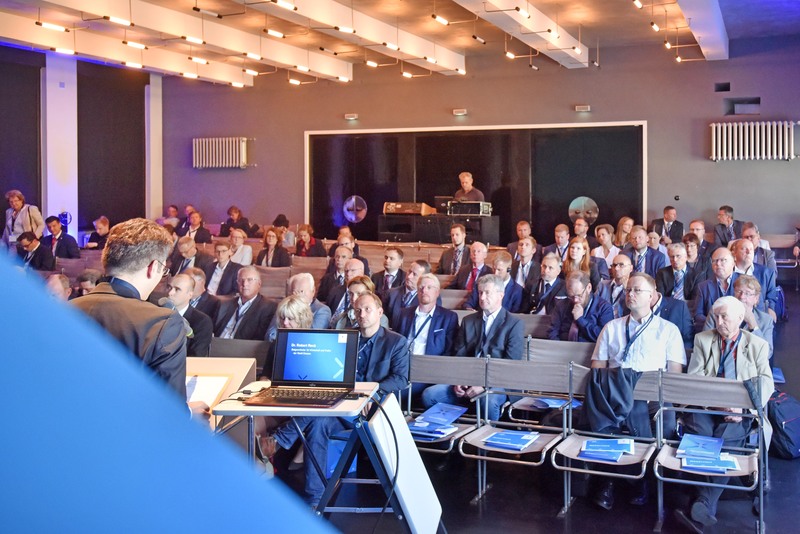 The conference is held in English and German.